Absolutly fell in love with the place, amazing staff and awesome vibes, I actualy sayed way longer then I originaly planned, but I'm not the only one who did that. So I can absolutly recoment going there especially if you like surfing and meeting people from all over the world. In conclusion 11/10 would do again. 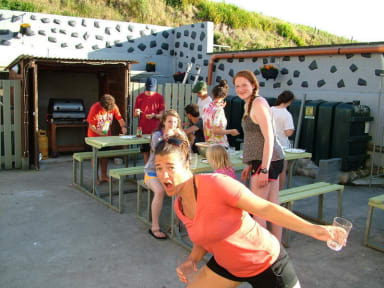 Super nice staff and super nice Hostel in super nice location . Tolles Frühstück und nette Mitarbeiter. Aber..es wird Zeit für neue Matratzen. Großes Hostel (10 zimmer) , kleine ausreichende Zimmer. Familienatmosphäre. 2 min zum Strand. 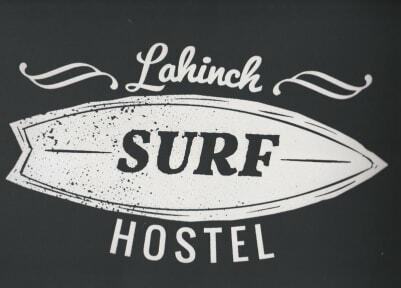 Das Hostel verleiht auch Surfutensilien. It was all good. The location next to the ocean was really good. The stuff was friendly and helpful. Das Surfer Hostel war super, die Leute nett und die Bäder auch recht sauber. Unser Zimmer war eher klein, aber zum Schlafen reicht es locker. Gerne wieder.